Facebook™ Disconnect is an add-on for Mozilla Firefox which stops and disconnects the third-party websites from accessing your facebook connection. It works by blocking all the traffic from third-party sites to facebook and therefore helping to stop tracking. Other features includes low memory consumption, on/off toggle button. 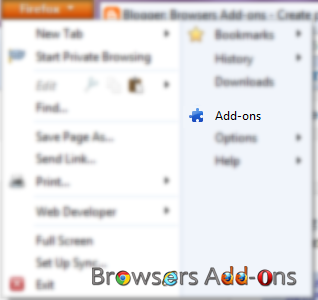 In this post, you will learn how to install and use in Mozilla Firefox. To find out whether it really works, you can checking using lightbeam or Collusion. 1. Go to Facebook Disconnect Mozilla add-on page, or simply click on the above download link and click on “Add to Firefox“. Facebook Disconnect: Add to Firefox. 3. Facebook Disconnect installation box pops-up. Click “Install Now” to continue installing add-on, “Cancel” to abort installation. 4. On successful installation, Facebook Disconnect doesn’t require restart to activate the add-on. 1. On successful installation, you will directed to Facebook Disconnect first run page. 2. Facebook Disconnect button should appear at top right side of the page. Toggle to on/off. Facebook Disconnect: Disable/Remove from Facebook. Next story How to Resist from Checking Facebook Very Often. Previous story How to Block Certain Domains Appearing in Google Search. Share URLs with Multiple Users in One Shot with Google Tone.